Justin Vaïsse used to work for ECFR as Associate Fellow. 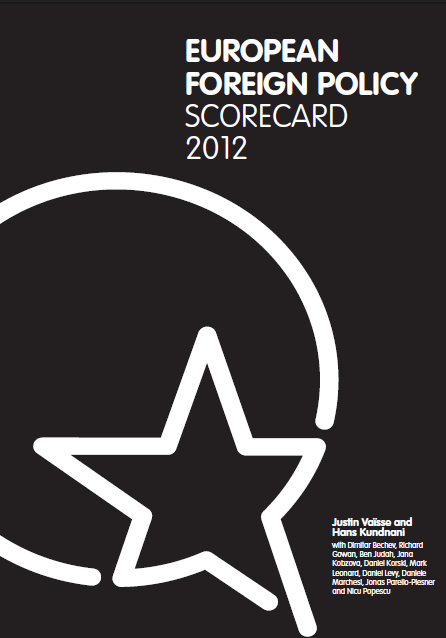 The ECFR Scorecard 2012 shows that Europe's power is waning - and if the continent doesn't get its act together soon, it could put the global order in serious jeopardy. Historically, internal divisions have caused the EU to be flat-footed in responding to foreign policy crises. But by learning from the EU’s successes and failures, it should be possible to plan coordinated approaches for future crises. Agreement over Europe's performance is not the aim of ECFR's European Foreign Policy Scorecard. The aim is to encourage serious debate about the goals, tools, resources, difficult trade offs and moral dilemmas of Europe's foreign policy - even if that means that readers strongly disagree with our conclusions.